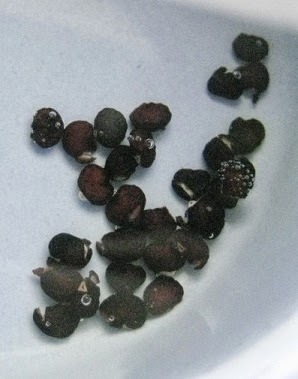 Google+ Organic Gardens Network™: Should You Soak Your Seeds Before Planting? Should You Soak Your Seeds Before Planting? Soaking seeds before planting is an “old time” gardener’s trick that many new gardeners are not aware of. When you soak seeds before planting, you can significantly decrease the amount of time it takes for a seed to germinate. Let’s look at the reasons for soaking seeds and how to soak seeds. Lean what happens to seeds when you soak them and the reasons for soaking them. The benefit of soaking seeds before planting is that the germination time will be reduced, which means your plants will grow faster. Heather Rhoades from Gardening Know How also explains the proper way to soak, how long to soak, and some things you can do to improve how well your seeds react to soaking. You may also want to check here for terms to understand when learning how to successfully germinate seeds.